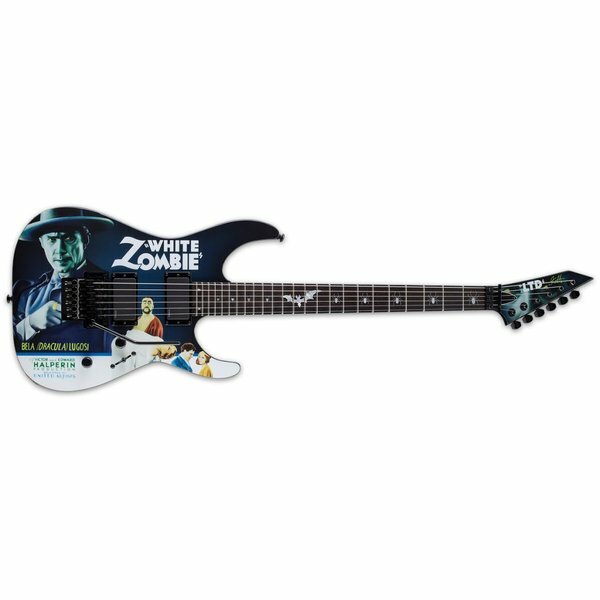 Kirk’s latest signature model is the LTD KH-WZ White Zombie, a reproduction of Kirk’s own guitar featuring artwork from the classic Bela Lugosi horror film of the same name. It features an alder body, maple neck, rosewood fingerboard with bat and spider inlays, a Floyd Rose bridge, and EMG active pickups. Each guitar includes a custom graphic form fitted case from the Tombstone Case Company.